to Home Buyers Choose from a variety of easy-to-customize postcard templates for real estate professionals. Set Your Patients Straight Remind your patients about their appointments with memorable, custom-printed appointment cards. 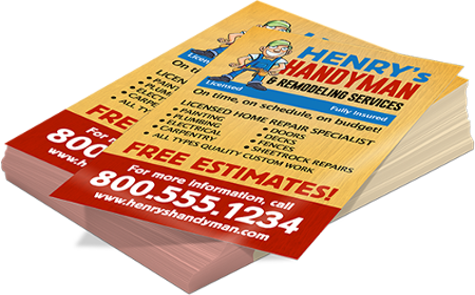 Construct a Solid Customer Base Create personalized and professionally printed flyers to spread the word about your handy skills.